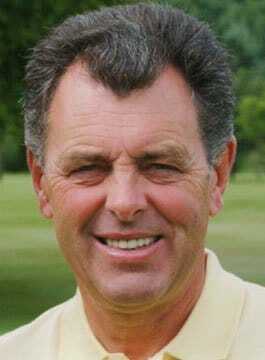 Bernard Gallacher OBE is the battle-hardened golfer from Bathgate in Scotland. He was the original young wonder of the PGA European Tour, winning the PGA Championship just two years after turning professional in 1967. Thirteen more titles followed in between the demands of Bernard’s other job as the club professional at Wentworth. Bernard Gallacher played in every Ryder Cup from 1969-83. In the late ‘80’s he helped Tony Jacklin before taking over the captaincy in 1991. Unlucky in his first year, Bernard won the Cup as Captain on his third attempt. His calm and collected leadership was vital to the European team’s stunning victory at Oak Hill in New York State. Following a quarter of a century as Club Professional, Bernard Gallacher left Wentworth at the end of 1996. In 1997, he spent more time with his family and played more golf. Bernard also commentated on the Ryder Cup for Sky and worked with various blue chip companies, particularly on their corporate entertainment where – following his time at Wentworth – he is regarded as a “golf day specialist”. Bernard turned fifty in 1999 and joined the European Seniors Tour where he was perhaps the biggest “name”. Following several consistent years, Bernard finally won in July 2002 at the Mobile Cup held at Stoke Poges. Other titles cannot be far away for the talented Scot. Away from the golf course, Bernard’s ‘Ryder Cup speech’ is highly regarded as an informative insight into the world’s biggest golf event from one of Europe’s most successful players/captains. Bernard also spends time keeping fit, walking the dog, reading biographies and supporting several charities. Sturdy, stocky and a bulldog of a golfer – that is, always will be, Bernard Gallacher.